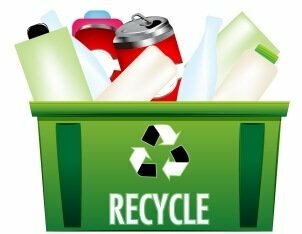 Recycling has become a license to waste, allowing us to avoid taking responsibility for our consumer choices. We soothe our consciences by dropping our excesses into a recycle bin and having them carted away. End of story; nothing more to think about. That wasn’t the intention when the 3Rs of environmental responsibility were first introduced. They were Reduce, Reuse, and Recycle—deliberately presented in that order—and were meant to deal with the environmental issue of wastefulness. 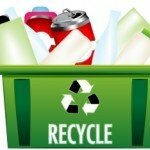 Unfortunately, recycling has become the first instead of the last step for most people. I suspect that’s because it is the easiest, especially now that we have recycling programs that pick things up from a bin or bag placed at the curb. Reducing and reusing require more effort and greater consciousness. They are the high road of environmental responsibility. Walking that road can be challenging and it takes courage. My last blog talked about courage in the context of buying nothing beyond well-defined necessities for a year. This life experiment has several objectives including living in alignment with their values of community and sustainability. Today I read an article about Taina Uitto, who is also living in alignment with her values. She was deeply moved upon learning about the accumulation of huge plastic garbage patches in the world’s oceans. The shock motivated her to stop using plastic—completely. A courageous act for sure, since plastic is ubiquitous in a consumer lifestyle. Among other things, she was challenged to find alternatives for plastic grocery bags, plastic produce bags, and plastic containers for personal care products. These are all things that many of us routinely drop into our recycle bins, all the while feeling virtuous for doing the right thing. Rather than recycling plastics to make herself feel better, Taina went down the path of reduce first. This led her to rethinking and refusing. She has expanded the 3Rs to 6 and lists them in order of priority on her blogsite: 1. Rethink 2. Refuse (+Reduce, Reuse, Repair, and “Recycle”…if you must). Armed with awareness, get disciplined about refusing single-use disposable plastics. Start with the easy things, refusing coffee lids, straws in drinks, plastic bags, cutlery, wrapped muffins, etc., etc. So easy. Then, move onto the “harder” things, sourcing one alternative at a time. Be creative! Participants are invited to send pictures of their refusals and these are posted in a photo gallery. It’s a fun way to encounter and remember possibilities for action to reduce use of plastic. So here’s the question rolling around in my head: Is there something more I can do? This entry was posted in Fresh Perspectives, Mindset, Viewpoints & Thinking for Ourselves, All Posts—newest first and tagged courage, recycling, taking responsibility, wasrefulness, environmental awarenesds, plastic waste, refuse plastic, money issues by Laurana Rayne. Bookmark the permalink.